Imagine a vast ocean of liquid sarcasm completely evaporating and leaving a shoebox worth of bone-dry, crumbly humour and you will get an idea of this book’s style. 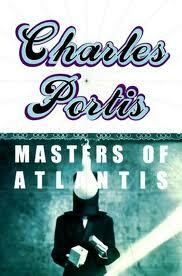 Masters of Atlantis follows the rise and devolution of the fictional Gnomon Society (the last bastion of Atlantean wisdom), with its narcissistic leaders, shady sidekicks and delusional followers. This book is a remarkably sophisticated and clear-eyed portrayal of humankind’s temptations, weaknesses and failings, presented with lots of sarcastic, dry, deadpan wit.